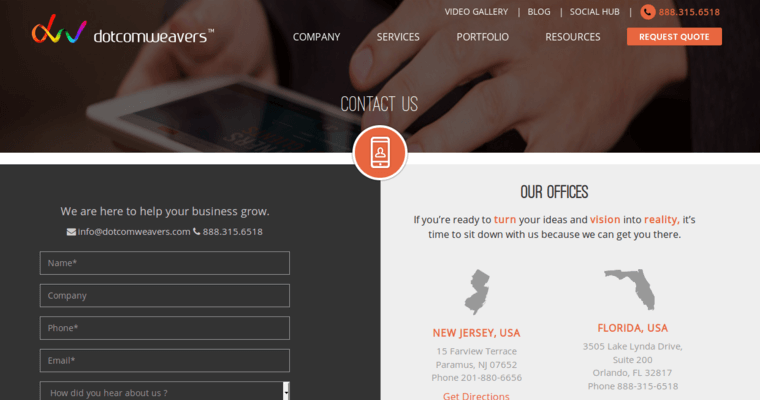 The story of Dotcomweavers began in 2007 in Paramus, New Jersey. 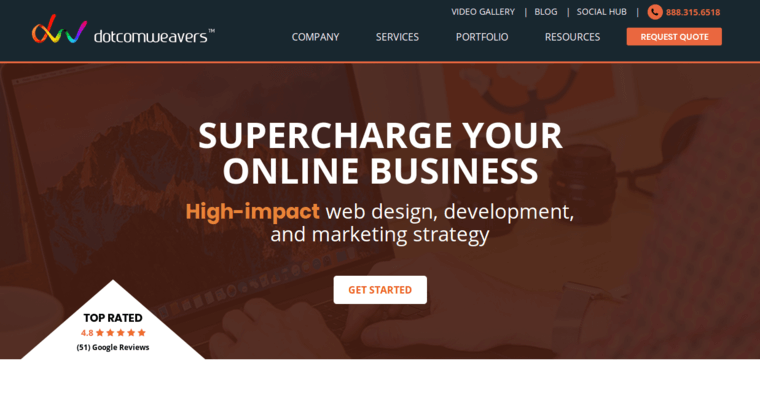 Since then, this web design firm has opened numerous offices nationwide in order to have better reach into emerging and well-established markets. For example, a design studio in Orlando, FL, serves as an important base for doing business with Caribbean and Latin American businesses. 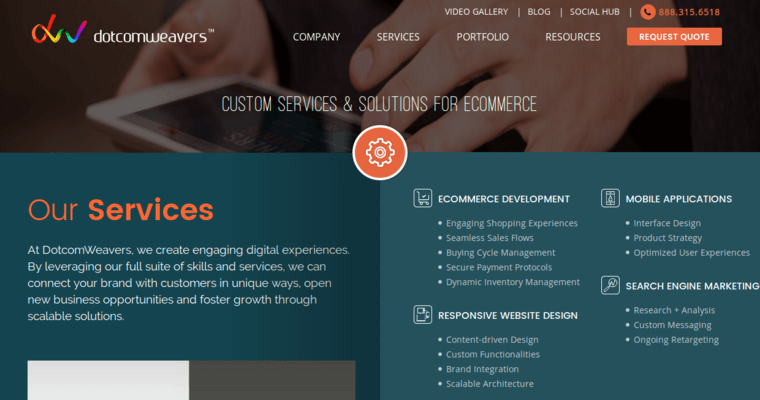 Web development by Dotcomweavers is done by a rigorous methodology that has been exclusively identified and perfected over the years. The firm's journey map includes the discover, design and develop stages in the early parts of a given project. The final phases include diagnose, debug and deploy. Once a website is launched on the internet, analytical programs are activated to monitor traffic volume and other important parameters. An e-commerce domain could also be linked to software that generates a wealth of information on net sales. Magento Hosting, SugarCRM and Shopify are highly preferred for such data applications.